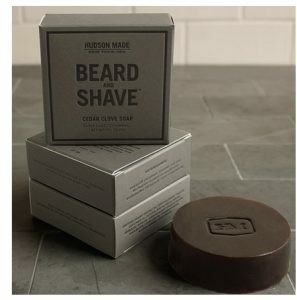 I am in love with the fine folks at Upriver Home, a Milford, PA-based merchant and purveyor of unique products for the home – all a perfect fit for the Lost Cowboy sensibility. 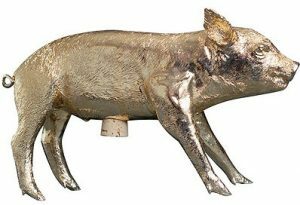 Just one look at Upriver’s home accessories page and you will know what I mean – each product could be a find on its own. 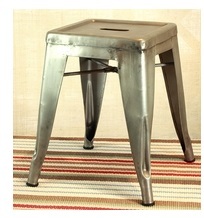 Check out all the “accessories” from Upriver Home here. Learn more and see all the awesomeness of Upriver Home here. 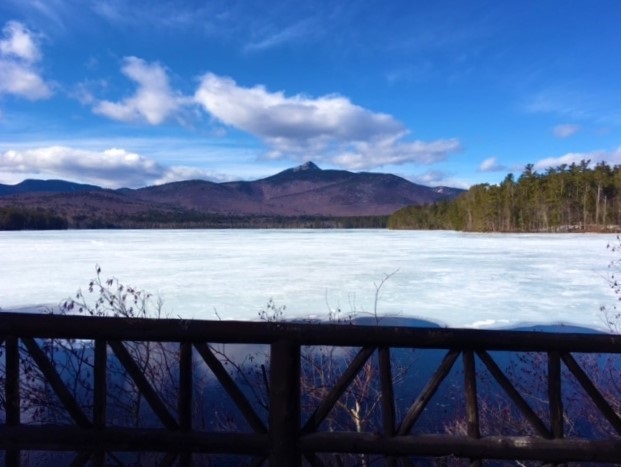 It’s been a while since I have had a chance to check in on my favorite spot – the bridge at Lake Chocorua with the majestic view of Mount Chocorua in Tamworth, NH. Unfortunately I am not there today, but dear friends are there staying our the family Lodge and sent back this picture just for me – the great scene in all its winter glory. 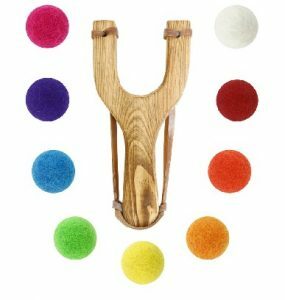 I love a find that says everything you need to know about it in its name, as in today’s find, Hella Slingshots. You are probably thinking these guys make a really cool slingshot, and you would be right. Hella Slingshots is the creation of San Francisco-based entrepreneur Adam Gray, and they make an awesome line of well-crafted slingshots that blow away anything you may have had as a kid. Learn more and check out Hella Slingshots’ complete collection here. It has cooled off a bit here on the Kansas prairie (just across the river from the great little town of Kansas City, MO) after enjoying a prolonged stretch of way-too-early spring weather. However, I act and eat the calendar, and as a boy from the highlands of New Hampshire, if the calendar say February, then it is very much still winter. Anyway, all of that to say that I am still making nice hearty soups like this recipe for Ham and Split Pea Soup, which I found from the fine folks at All Recipes. 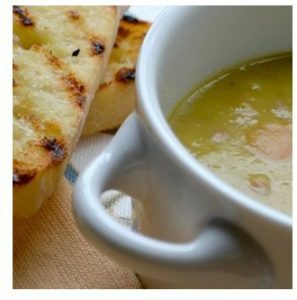 Find the recipe for Ham and Split Pea Soup from All Recipes here. See all the great recipes and cooking tips from All Recipes here. 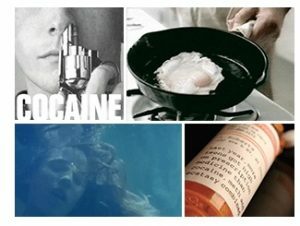 Our history is littered with various epidemics of drug use, but none as scary or as lethal as the opioid threat we face today. The fine folks behind the Partnership for Drug-Free Kids are trying to help. Learn more about the Partnership for Drug-Free Kids and how you can help here. 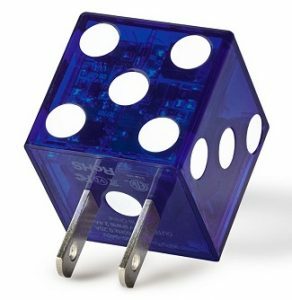 Check out all the cool chargers and related products from BUQU here. Last summer while on vacation (in the wonderful village of Wellfleet near the tip of Cape Cod) my friend Lynda applied temporary tattoos to the arms of our entire entourage. The tattoos were all seaside themed – like lobsters and shells – so it was perfect and the tattoos were surprisingly durable. 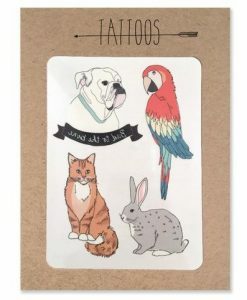 …the Pet Temporary Tattoos I found as part of the tattoo collection from the fine folks at Hartland Brooklyn. Find the Tattoo collection from Hartland Brooklyn here. 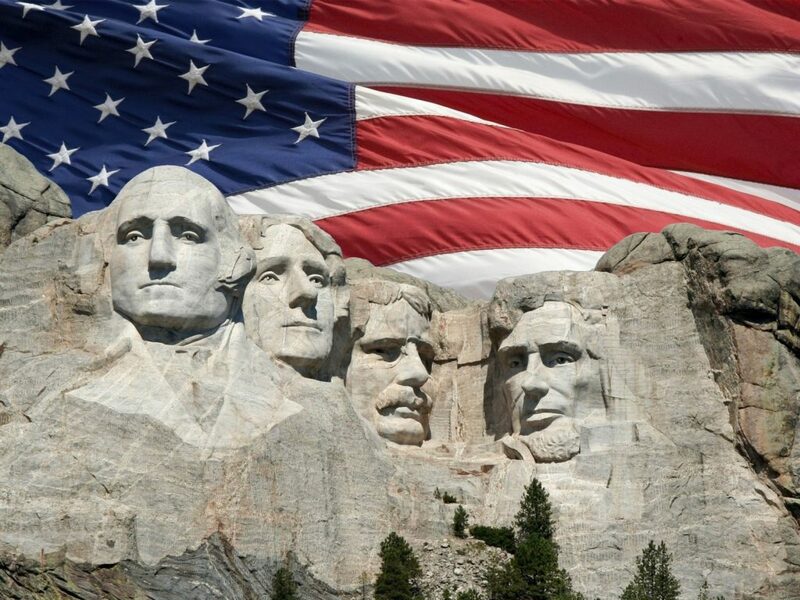 See everything Hartland Brooklyn has to offer here. I have dozens of those great Field Notes brand notebooks and I carry them around everywhere I go to jot down observations about the places I travel and the things I find. But most of the time they are loose in my bag and easy to misplace. Now, thanks to the fine folks at Holtz Leather, I have the solution – the Surveyor Fine Leather Pocket Journal Cover for Field Notes. 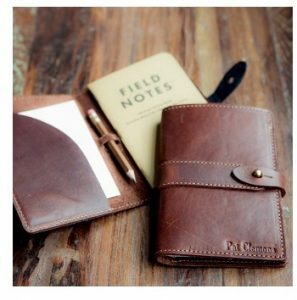 Find the Leather Pocket Journal Cover from Holtz Leather here. See the greatness of Field notes here. I have always loved good pop-up books. The best among them leave me amazed and impressed with the talent that goes into designing them. Which is why I have fallen in love with Trains: A Pop-Up Railroad Book by Robert Crowther. Mr. Crowther’s elegant artwork and ingenious designs makes this book a delight from start to finish. Beyond the great artwork and clever designs, Trains is populated with facts and information for the budding engineer you may have in your life – or really anyone that loves trains and wants to learn more about them. 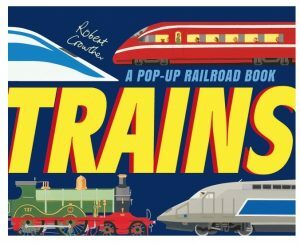 Trains: A Pop-Up Railroad Book by Robert Crowther is available from Amazon and wherever the finest books are sold. 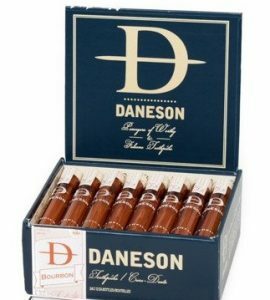 …the Bourbon Toothpicks from the fine folks at Daneson. The bourbon picks are just one of the fine flavors of toothpicks from Daneson – check out the whole collection here. Well, I love people that do one thing and do it well, and the fine folks at Daneson only make high quality toothpicks. They also invest back into the planet, by planting 100 trees for every one they harvest to make their fine product. Learn more about Daneson and their quality toothpicks here. Lost Cowboy is powered by	WordPress 5.0.4 and delivered to you in 0.843 seconds using 58 queries.